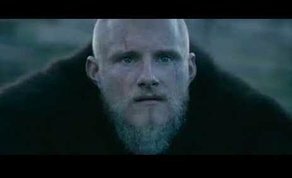 ‘Vikings’ fans were treated to an exclusive trailer ahead of the upcoming midseason premiere at Comic-Con, which will return to the History Channel on Wednesday, November 28th. With principal photography for season 6 getting underway in Wicklow last week, fans in Ballroom 20 of the San Diego based convention went wild when the trailer for season 5b was launched. The trailer, which is full to the brim with the shows Viking-brand of bloody action, sibling rivalry and drama will see brother versus brother, in the latest installment of History’s hit TV show. The Vikings panel at Comic-Con included a host of the franchises top talent such as Katheryn Winick (Lagertha), Alexander Ludwig (Bjorn Ironside), Clive Standen (Rollo), Alex Hogh Andersen (Ivan the Boneless), and Georgia Hirst (Torvi), as well as series creator and writer Michael Hirst. ‘Vikings’ is executive produced by Michael Hirst, Morgan O’Sullivan, James Flynn of TM Productions, John Weber of Take 5 Productions, Sheila Hockin, Alan Gasmer and Sherry Marsh while History’s Arturo Interian also serves as executive producer on the series. Season 6 of ‘Vikings’ is already underway in Ardmore Studios, Co. Wicklow.